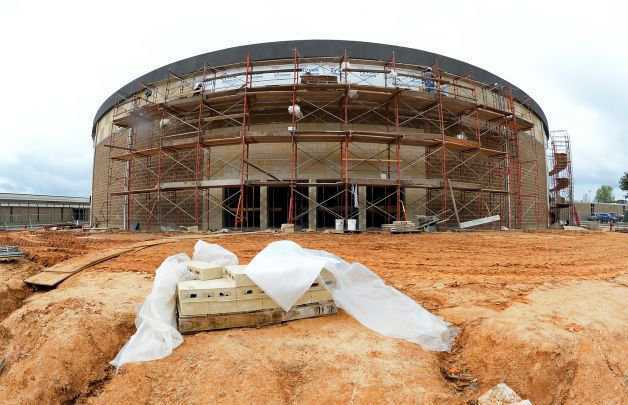 Tupelo Public Schools and the City of Tupelo, Mississippi plan to construct three Monolithic Dome multipurpose buildings and safe rooms. As WTVA reports, the district wants the buildings for more than just a safe place during a storm but also as a new gym, classrooms, and more. Curling is called chess on ice. It’s easy to see why. It requires a unique combination of strategy, teamwork, and skill. People love it. Its popularity has exploded — especially after it became an Olympic sport. With more players than ever, more curling rinks are needed. One person told me there are 35 proposed rinks for the Chicago area alone. We’ve been receiving more calls and decided to look at how a dedicated curling facility would work in the Monolithic Dome. Construction progresses for the new Mathena Event Center at Falls Creek Baptist Conference Center. 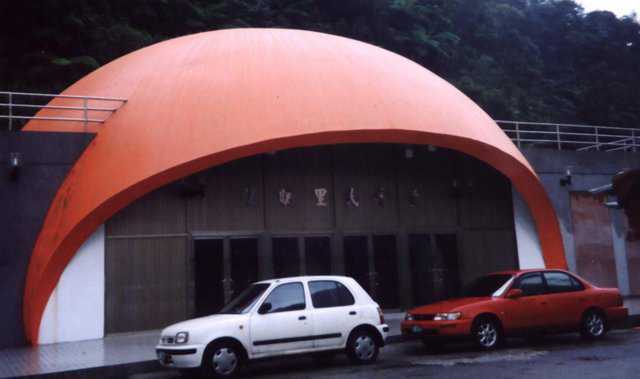 This Monolithic Dome is especially interesting because of the non-standard shape of the dome itself. 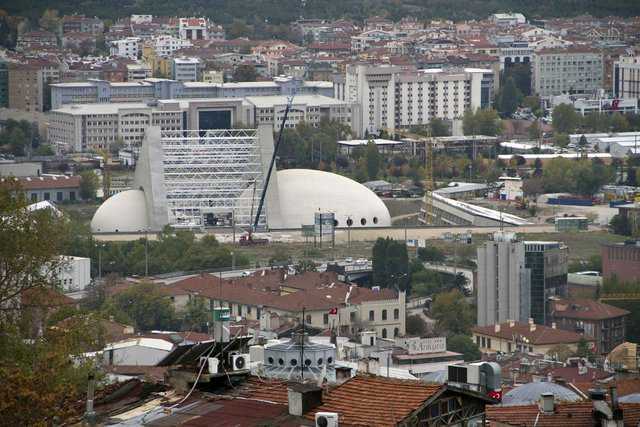 Notice how it’s roughly oval around the perimeter wall. 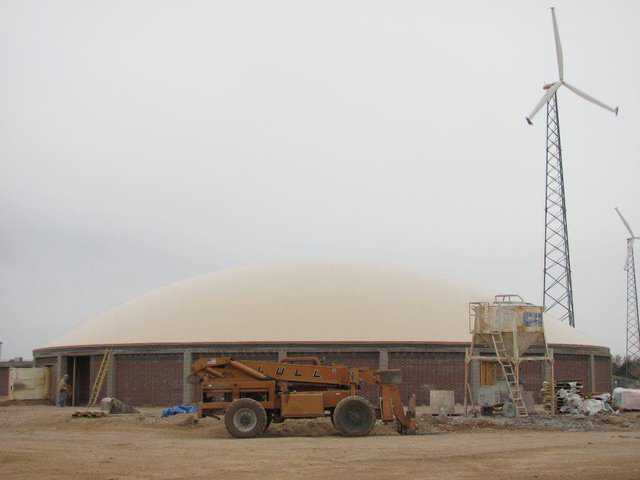 FEMA approved a grant for the Monolithic Dome safe shelter at Dodge City Community College. 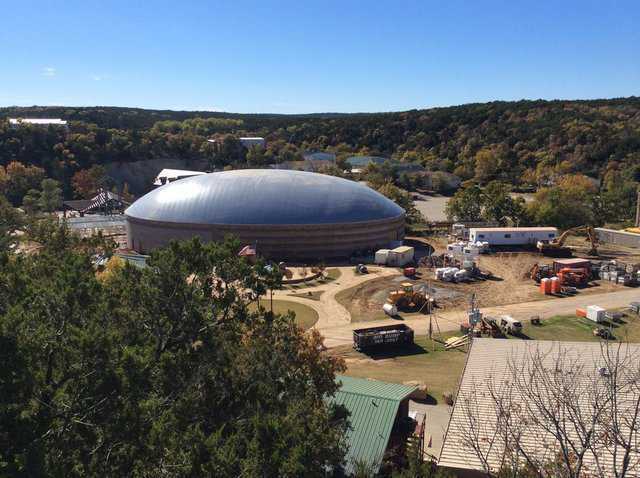 The dome will be their new student activities center and also the campus tornado safe room. Plans include a full basketball / volleyball court, locker rooms, classrooms, fitness center, student lounge, and more. We are a mystery. Thousands drive by our headquarters in Italy, Texas, and stare at the cowboy-boot-painted caterpillar. From the day our first dome inflated — 25 years ago — curious people stopped to see what we were about. Yet, many of our neighbors know little about our work. That’s why it’s nice to get some coverage by the local county newspaper. The Heywood family cabin started over a year ago and is almost complete. 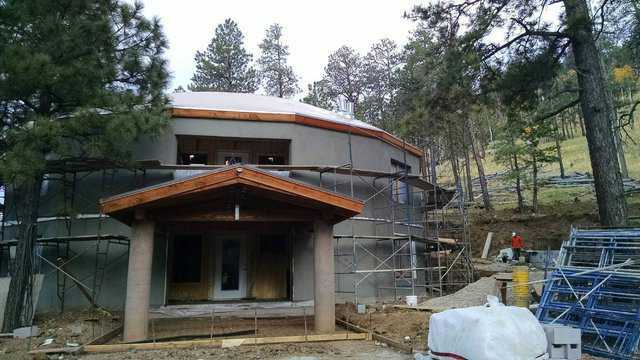 It is in the deep snow of northern Arizona so they have to wait until spring to complete it. The dome is 58-feet diameter with three levels surrounding a central gathering room. It may not be a Monolithic Dome, but it sure is cool. A skate-park in Denmark with concrete obstacles, a grass covered wood dome, climbing wall, and much more. It’s an amazing use of concrete, landscape design, and urban improvement. Just look at the grain silos they painted. 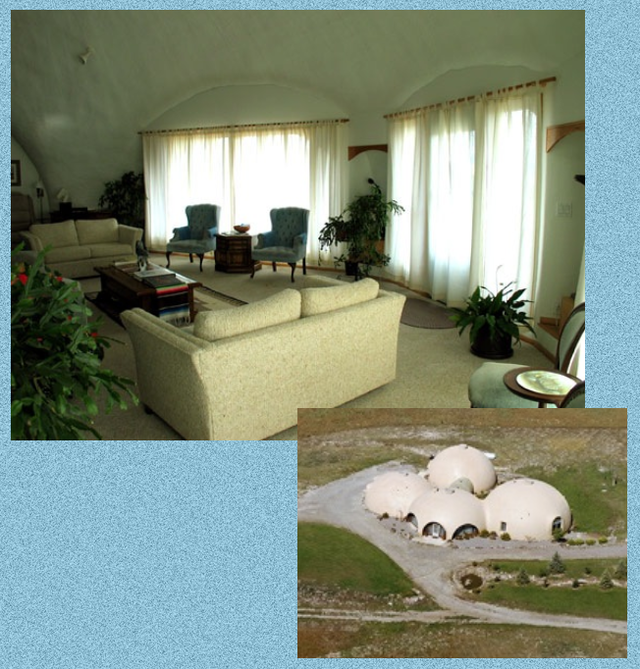 We regularly receive emails asking about using hempcrete in the Monolithic Dome or EcoShell. 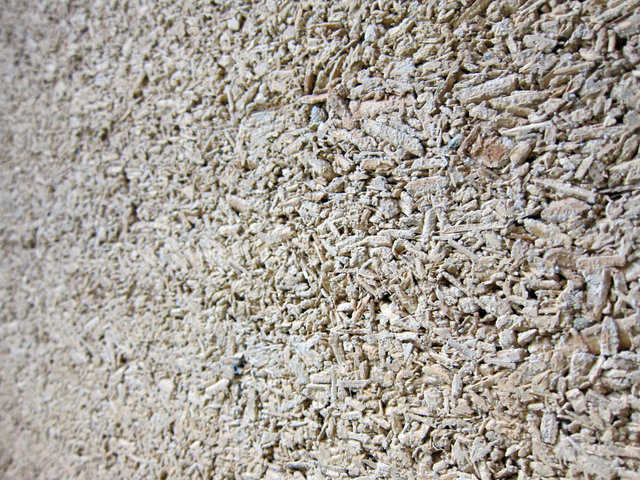 Hempcrete uses natural hemp fibers embedded in a lime binder — usually cement. 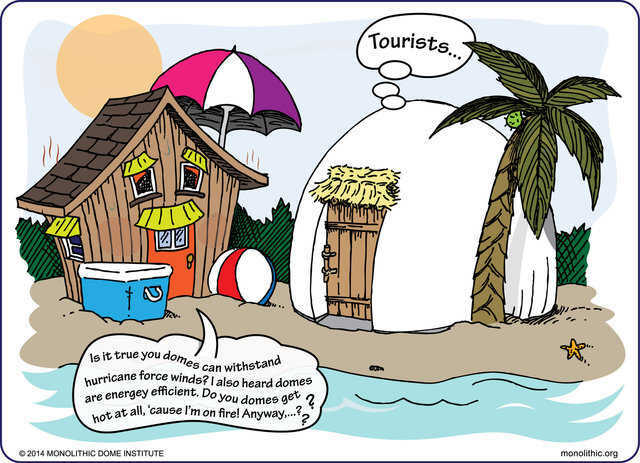 It can provide some insulation and a little strength, but if used in a Monolithic Dome it actually weakens the dome and reduces its energy efficiency. Over one hundred people from every corner of the country flocked to the Monolithic Dome Institute last month for the opportunity to tour Bruco, the Texas Italian Caterpillar, along with several houses and offices located on the 24-acre property. We love to hear from dome builders around the world! It can be hard to build a new business, but the dome building business is definitely worth the time and effort. 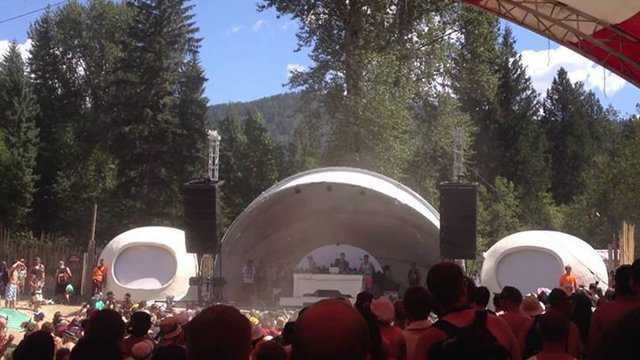 Recently, we heard from a relatively new dome building company in western Canada—Cascade Domes. Read advice from owner, Steve White. When George Clarke of “George Clarke’s Amazing Spaces” and master craftsman, Will Hardie, took the UK-based reality show on a road trip across Texas in search of some interesting, unique, unusual spaces, they found a truly “Amazing Space”—Al Schwartz’s Robot Ranch. As the Monolithic Dome becomes more popular, how does it keep its celebrity status from going to its head? Find out in Barry Byers’ latest comic. Researchers at the University of British Columbia loaded 5.5 tons of sand bags on the top of a 24-foot diameter dome and subjected it to simulated earthquake conditions on their shake tables. 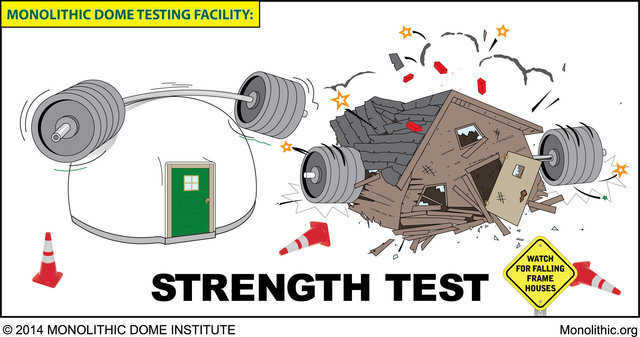 Watch the video of the shake-table test and find out if the wood-framed dome survived. From the very first thoughts of geodesic domes to the invention of the Monolithic Dome and finally the Crenosphere, read the personal story of the history of the Monolithic Dome as told by David B. South in his latest President’s Sphere. 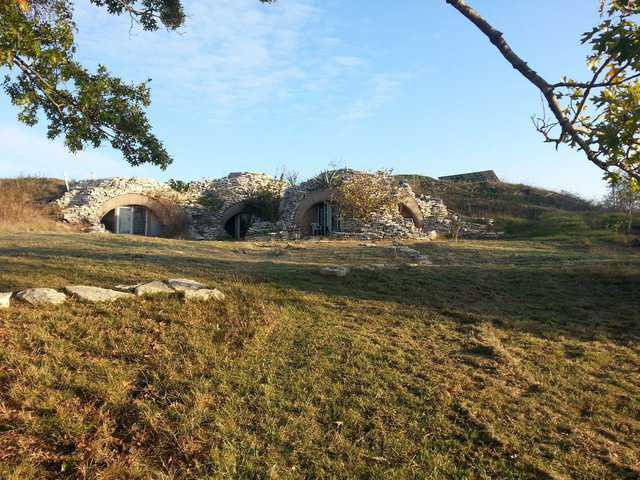 What happens when a conventional cabin visits the Monolithic Dome Resort? They become a pesky tourist, full of questions. “Dome fever has spread to the Sooner State!” says Bill Kramer in the Oklahoman. 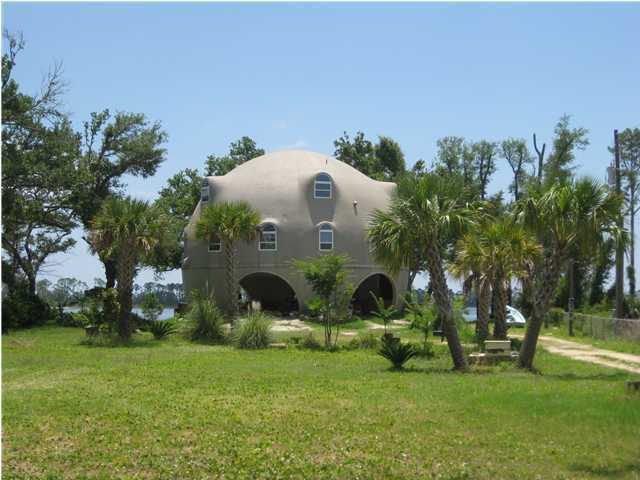 Monolithic domes have gained popularity in recent years. In fact, domes are in use by eight rural school districts around the state. 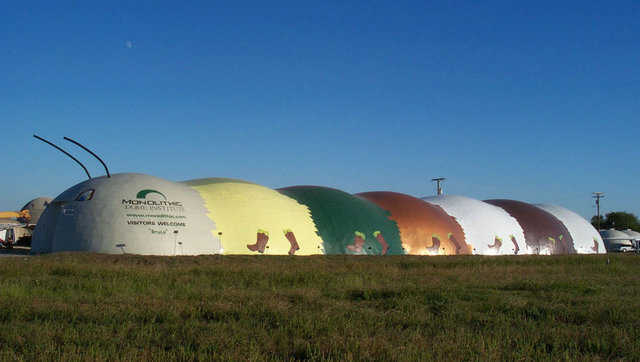 NewsChannel 4 featured monolithic domes and their growing popularity in a news report hosted on their website, KFOR.com. 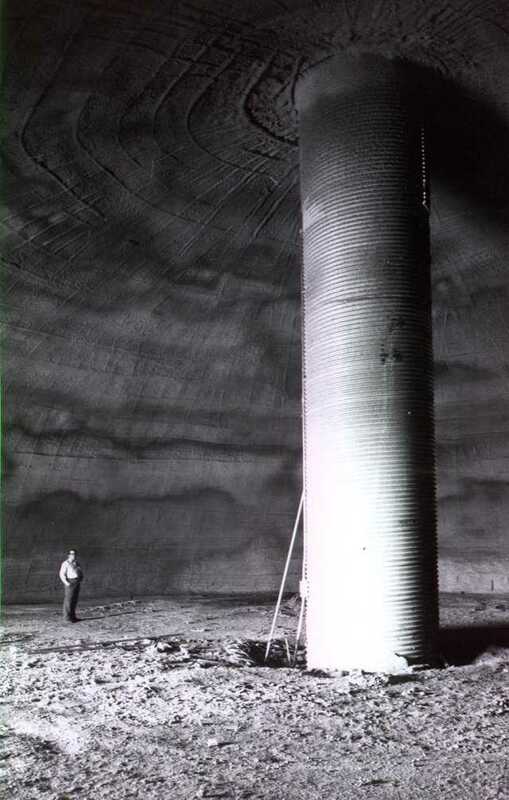 Their broadcast highlighted backyard monolithic dome tornado shelters built by dome-builder and educator, Verlin Fairchild. Monolithic domes are definitely big news in Oklahoma. 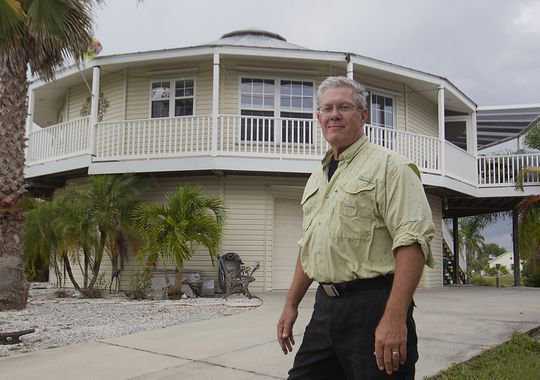 A round house survives a hurricane? It did and we think it’s pretty cool. An article appeared on news-press.com’s website in July, highlighting the fact that something as simple as changing the shape of your home can increase its strength dramatically. Can a Monolithic Dome stop a .30-06 bullet? Find out in David South’s latest President’s Sphere, where he discusses this, and the durability of the Monolithic Dome’s exterior, recounting several stories of domes hit by extreme hail storms with virtually no lasting damage. 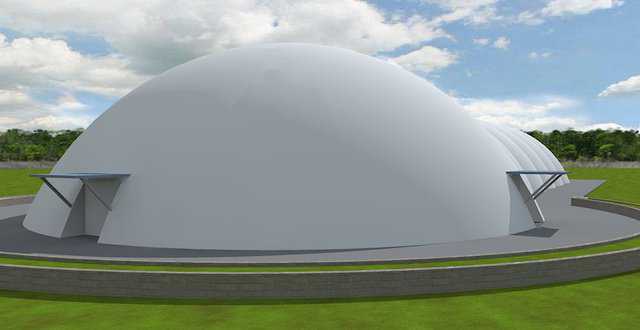 Recently, the Division of State Architects in California approved the construction of a Monolithic dome gymnasium, the first of its kind to be used for educational and school purposes in California, for Wasuma Elementary in the Bass Lake School District, reports Alan Wileman in the Sierra Star. 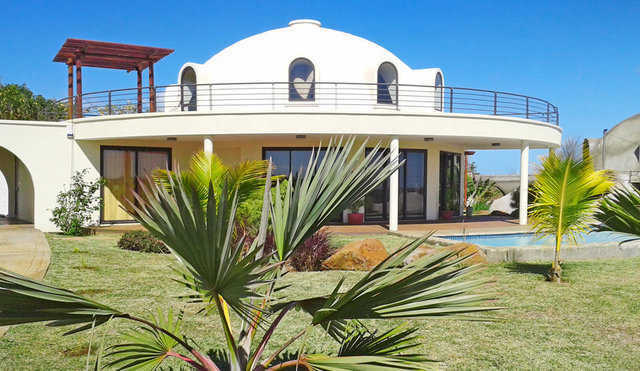 Matthew and Jari Whiteacre dreamed about building a Monolithic Dome Home for a long time before their dreams became plans. 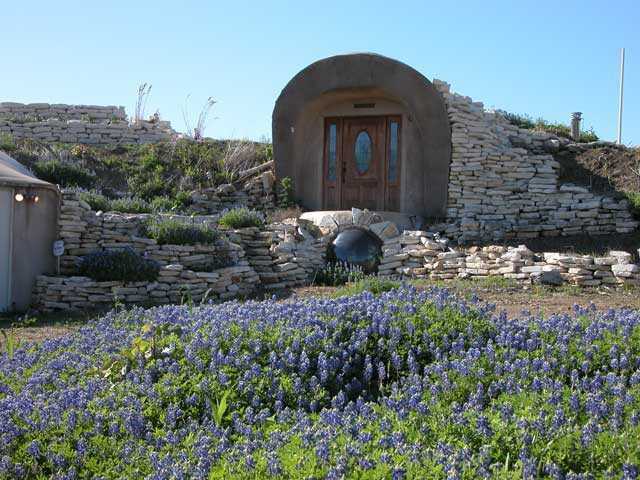 In September 2013, after transforming 1.93 acres of scrub brush, grass and trees into an elegant paradise, the Whiteacres realized their dream and moved into their gorgeous new Monolithic Dome home in College Station, Texas. Graceful curves echoing the curves of the Monolithic Dome are the hallmark of this estate. 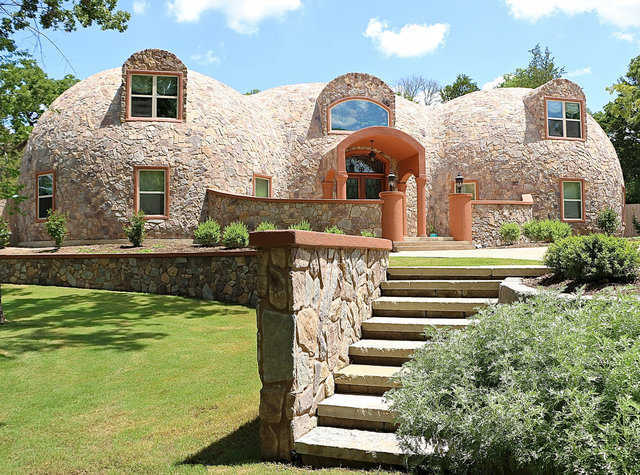 Read more about this stunning Monolithic Dome Home and view gorgeous photos of the Whiteacre’s home in this article. 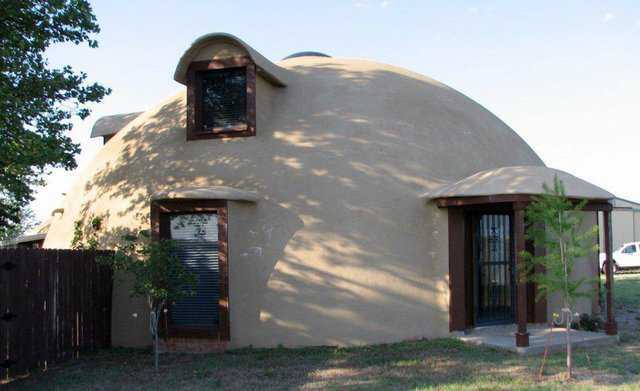 An eco-friendly and storm-resistant 2,980-square-foot Monolithic Dome Home under construction in Indiana is featured in My San Antonio in the story, Family hopes dome house helps move them off grid. 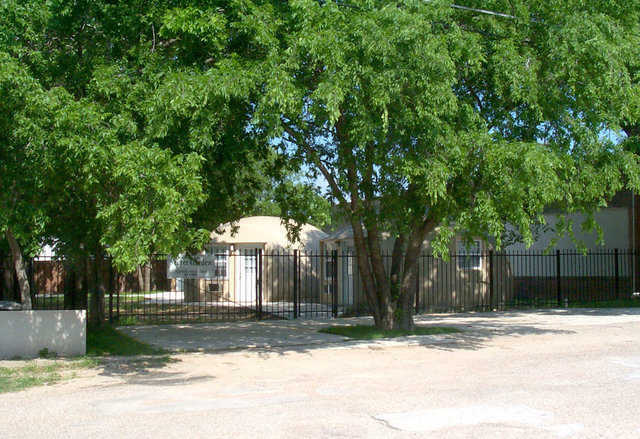 Any sturdy building had to be declared a hurricane shelter in the Woodsboro, Texas area up until four years ago. At that time, two hurricane-proof Monolithic Dome gymnasiums, which could act as hurricane shelters for the community, were built in Woodsboro and Edna, reports J. R. Ortega in the story, Hurricane-proof domes could provide salvation for those in path of storm, in the Victoria Advocate. In David B. South’s latest President’s Sphere, he addresses the risks of constructing low-profile Monolithic Domes. Using his forty years of experience building Monolithic Domes and thin-shell pioneer, Dr. Arnold Wilson’s engineering expertise, he cautions dome-builders that dropping the profiles of Airformed domes can have catastrophic consequences with no appreciable benefits. 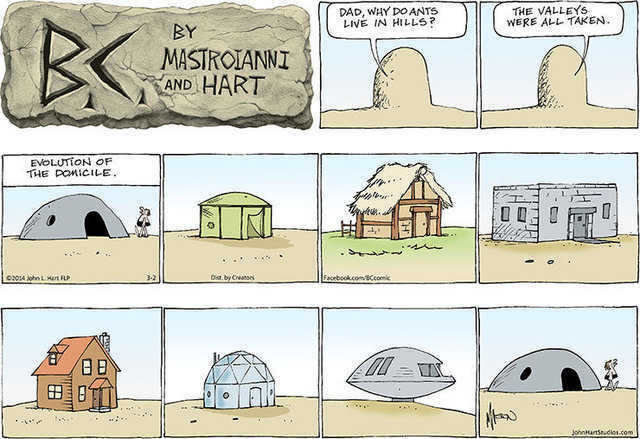 Have we mentioned that Monolithic Domes are super strong? 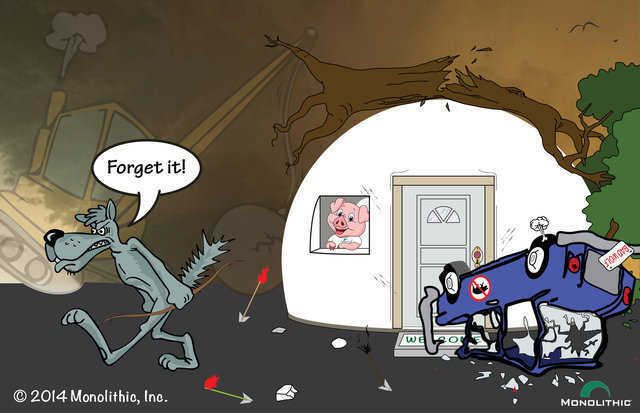 Cuzzins Jeb and Joe found that out the hard way in Barry Byers’ latest Monolithic Dome Comic, The Legend of Domestone. Beaumont Enterprise in Beaumont, Texas recently published a story detailing the need for additional funding to complete a storm shelter/performing arts center for the people of Beaumont in Dome needs more money by Cassie Smith. Petroleum coke, often called “petcoke,” is a byproduct of oil refineries. 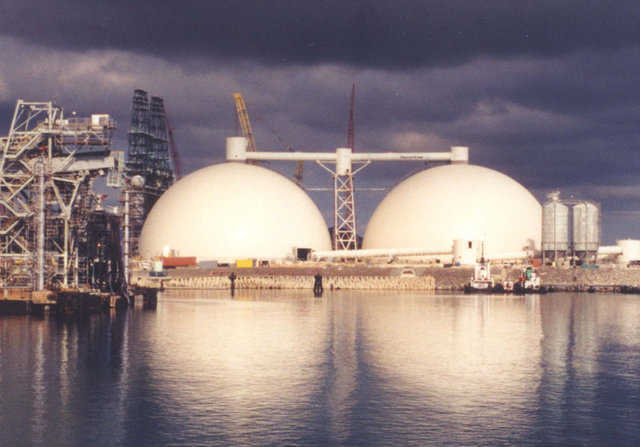 Monolithic Dome Petroleum Coke Storages are the best solution to the problem of storing petcoke out in the open in massive dust-pollution generating piles that is swiftly becoming an unacceptable solution to the American public. Read more in David B. South’s latest President’s Sphere. 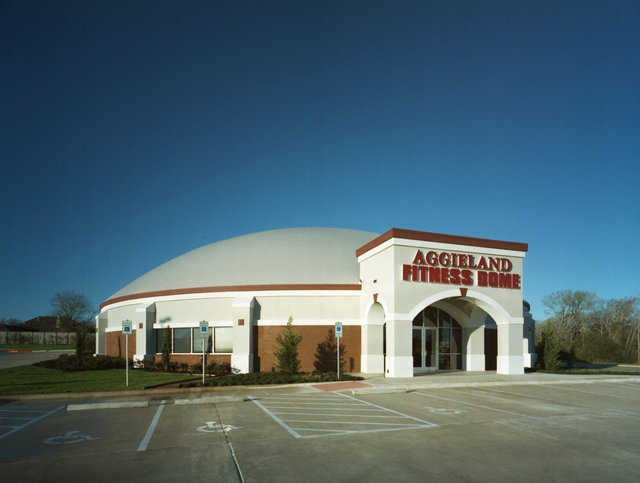 Aggieland Fitness Dome was complete in January 2004 and was the world’s first Monolithic Dome fitness center. 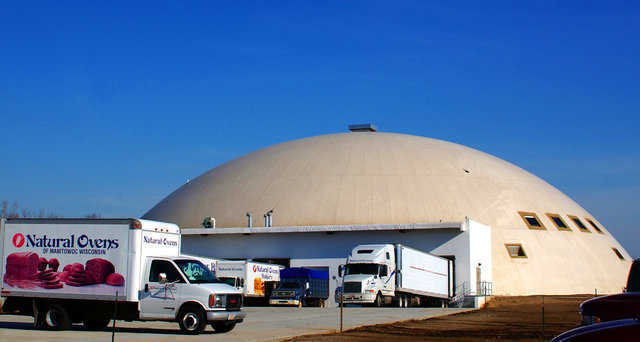 The 124′ × 40′ dome encompasses 12,000 square. feet on ground level and 2400 square feet on the mezzanine level. “The dome has done all the things I was hoping it would do. It differentiates us from other buildings and brings potential customers through the door,” said Steve Lumpee, owner of Aggieland Fitness in College Station, Texas. 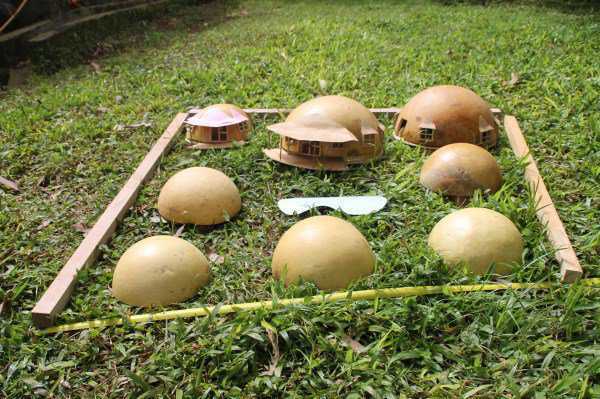 When in Rome, do as the Romans do, but when in Indonesia, use coconuts to build scale models of dome projects! Albert Einstein purportedly said, “Creativity is intelligence having fun.” We agree and think this coconut model of a future project of Indonesian dome builder, Antonius “Yoss” Yusanto, is both creative and smart. 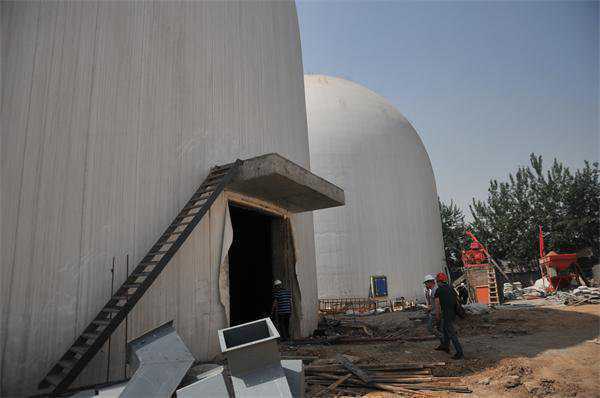 Recently, China’s Grain News featured the first Monolithic Dome granary in the country. Located in Taiyuan, Shanxi, the granary is comprised of two Monolithic Domes built by American Monolithic Dome builders, South Industries of Menan, Idaho. Sometimes people find the Monolithic Dome to be so efficient, they can heat them in creative, non-traditional ways. Monolithic Dome owner, Jerry Cleveland, recently sent us an E-mail about the super energy-efficiency of his Monolithic Dome. 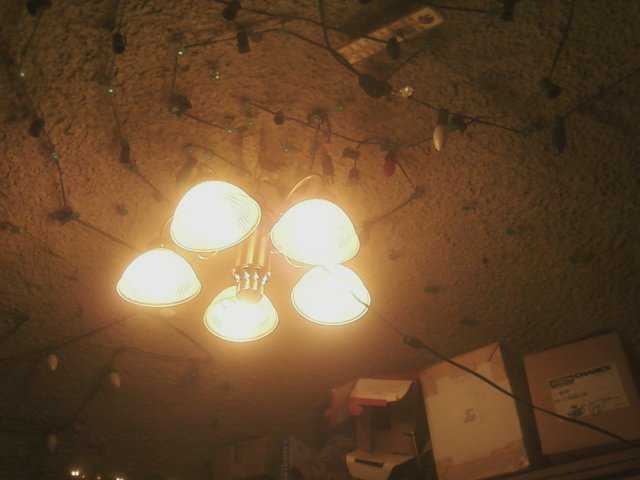 He had been heating his Monolithic Dome with Christmas lights which had stopped working, so he substituted a ceiling light with five sockets. 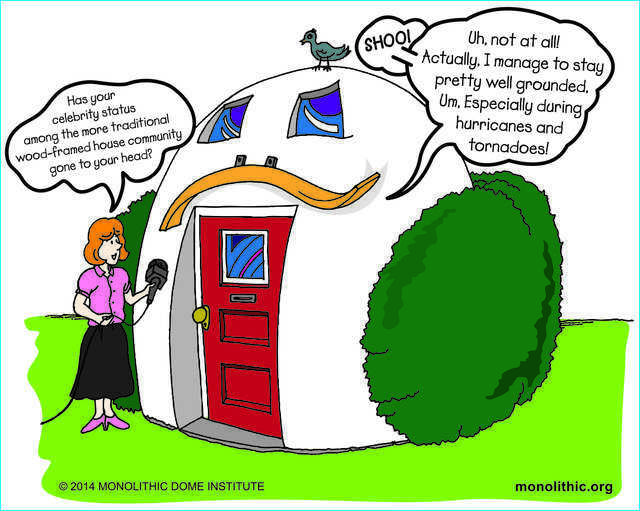 Are you interested in learning more about Monolithic Domes, but don’t know where to start? We have simplified the process for you by providing links to Monolithic Dome articles, books, newsletters, house plans and more. Check it out! Read the story of the invention of the revolutionary Monolithic Dome Airplane Hangar Door in David B. South’s latest President’s Sphere. 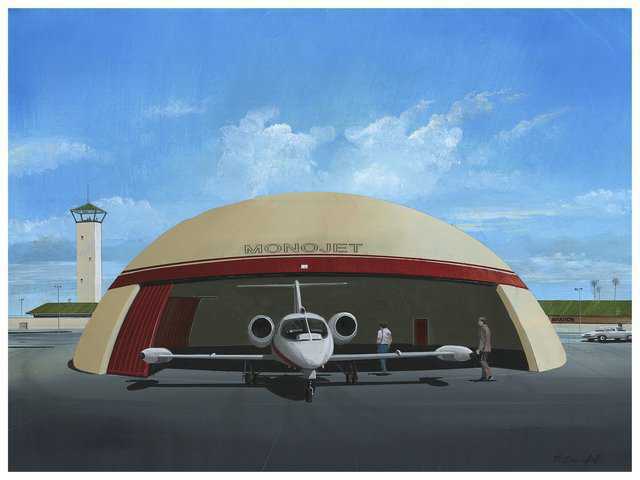 Monolithic Dome Airplane Hangars are super energy efficient, tornado safe, firesafe and earthquake safe. They are also about as bulletproof as you can make a building. Included in his story, is a sketch of a Monolithic Dome Hangar for the F-35 Airplane. The Monolithic Dome was recently featured in The New York Times Dot Earth Blog by Andrew Revkin. After Sunday’s spate of deadly tornadoes, Revkin says it is time to "think outside the box—and inside the dome. Revkin points out that Monolithic Dome Schools meet FEMA standards for community tornado shelters and can provide safe haven for residents as well as students and teachers. “A growing number of school districts in tornado or hurricane hot spots, many with grants from FEMA have chosen this option,” he says. Enlightening, interesting and on the mark. The Monolithic Dome is hard to overlook with all of it’s outstanding benefits, safety being a major one. It’s time to think round. This gorgeous Monolithic Dome sits next to Flathead Lake and has a spectacular view of the Mission Mountains. The property includes 4.5 acres of prime Montana real estate and a pond with a waterfall in front of the house. The view and the home are truly amazing. In 1834 a small settlement in northwest Indiana got its first log cabin. That settlement was Valparaiso, whose name was chosen because of its meaning: vale of paradise. One hundred sixty-nine years later, Valparaiso, now with a population of more than 27,000, got its first Monolithic Dome — a manufacturing facility built by Paul and Barbara Stitt, owners of Natural Ovens Bakery, headquartered in Manitowoc, Wisconsin. Building an Ecoshell I is a simple, inexpensive process. Watch our “How-To” video today and learn how to build an Ecoshell I for yourself. A beautiful Airform was inflated recently for Shallowater ISD’s new practice gym. Read more for Airform details and to view more photos. Have you ever thought about berming your Monolithic Dome? If you have, you’re in luck! It’s very simple to do because of the Monolithic Dome’s inherent strength. Learn how to avoid water problems by addressing the footing. Read about the preferred method for backfilling and more. Dome homes are both safe and spacious. 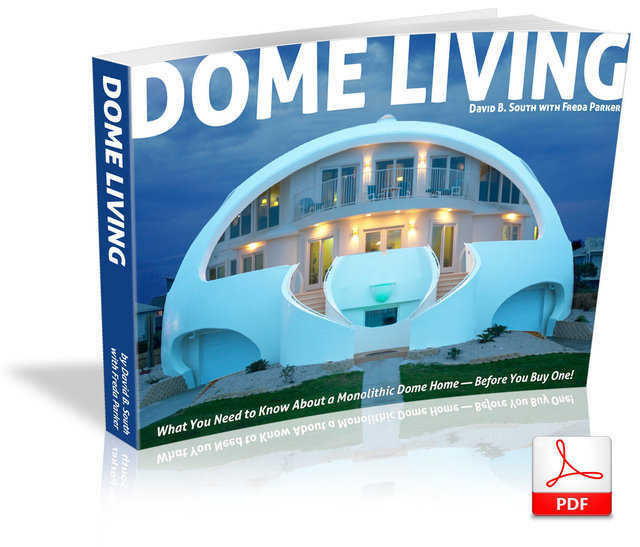 Have you ever wondered what exactly it takes to build a Monolithic Dome home? Matthew and Jari Whiteacre built a gorgeous three-dome home in College Station, Texas and chronicled their journey with beautiful photographs and careful details on their blog.